If you’re joining us from Kelly Balarie’s Purposeful Faith, welcome! “That’s alright. They didn’t need you anyway. They don’t know what they’re missing,” my brother responded. His compassionate answer was a hug to my hurting 9th grade heart and ego. Puddles formed, a tear was certain to fall soon. Staring down at the worn, off-yellow plastic plate, it’s daisies looking a little less cheery with each passing year, food awaited. On this night, I had little interest in its nutritional showcase. I was full, yet painfully empty. An extra large serving of rejection had been served just hours before. I was cut from the volleyball team. As an athlete on my inaugural volleyball tryout, it seemed reasonable to believe the necessary skills would come quickly. The coach, however, didn’t see it that way. Like a fairy tale gone bad, a fear of rejection and I linked arms and sprinted away, not-so-happily-ever-after. Rejection was a heavy burden to bear for a fourteen year-old. But rejection’s target isn’t solely teenagers. Not too long ago, it served up a plate of its lies to me, an adult riding the downhill portion of her 40’s. 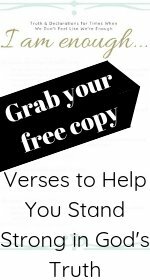 In July of 2014 I joined a Christian writer’s training group to support the God books and blog posts that were whirling inside me. Write for magazines! Write for compilations! Ezines are an option, take-home papers too, they coached. Take-home papers? What are those?! Although I blogged sporadically in the past and self-published a book as a newbie writer a few years earlier while in a “sporadic” phase of writing, these terms were altogether new. The coaches opened a world of unknown and its writing options. I submitted several stories and devotions, but none were accepted. The rejections began building. Confidence folded inward, cowering behind the computer screen in fear. It felt similar to the volleyball team cut once again. I wasn’t good enough. I could run down to the market and get a job. I love that store. Wouldn’t that be better? I’m beginning to feel guilty about not contributing financially. Lord, maybe writing’s a dead-end street, and I didn’t hear you after all. I questioned the call. Fear caused me to question God’s plan. The idea of quitting danced in my head. But this time, I didn’t run away. I ran to the Lord. Lord, is this you? I’m not so sure right now, but I’ll keep facing the rejections if writing is your will. The prayer was silent but very real. “Lord, I hear you. I will continue,” was my answer, a smile perched beautifully on my lips. I was ready to battle, even if it meant proceeding with fear prepared to serve its dish. After all, the Lord was on my side. Are you facing something new? Did you hear God call? Are you questioning whether you heard correctly? Below are two thoughts to aid in answering those questions. 1. Remember the conscious move, asking God for guidance. Running to Him proves to be a trustworthy move every time. If you’re facing fear, consider His wisdom available for you. Simply go to God and ask. 2. Make a calculated decision in the face of fear, with eternity in focus. Continuing the venture into new territory, I learned about and submitted various stories and articles, often proceeding with knees knocking. It was about God, about eternity, not me. Battles in the Old Testament were calculated as well. Think Jericho. They “heard” what to do, then they “did” what God called them to do. The victory wasn’t as quick nor easy as a snap of the fingers. They didn’t eat from fear’s plate. They ate of the Lord’s faithfulness instead. You and I can too. My friend, what’s on your plate? Is it rejection or God’s faithful daily, life-giving bread? 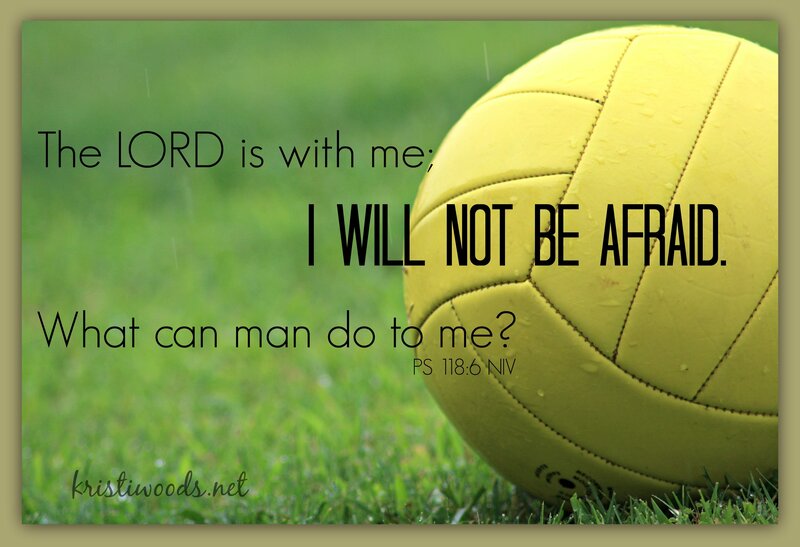 With the Lord on our side, fear doesn’t stand a chance. Be encouraged and walk boldly in His will for you. More “overcomer” stories await you today at Purposeful Faith. Click here to visit this treasure that will be certain to encourage in your walk with God. Are you signed up to receive posts directly from KristiWoods.net? Have a friend who could benefit in their walk with the Lord? Posts are delivered directly to your inbox. Sign up near the upper right corner. Don’t forget to let a friend know. It’s so easy! Linking with others proclaiming the name of Jesus at Me, Coffee, and Jesus, Purposeful Faith, and Jennifer Dukes Lee, Holley Gerth, Suzanne Eller, and others. Such encouraging words! Thank-you for the comforting reminder of Psalm 118:6 and your wonderful message that He is on our side, as we pursue His purposes. “Make a calculated decision in the face of fear, with eternity in focus,” genuinely and specifically encouraged my heart! Joining you, from Purposeful Faith today! He is good…even in the face of fear. Your words bless, Jessica. ty for stopping by. keeping eternity in focus… The biggie that jumped out at me. I was just writing about the fear of rejection this morning. Keeping my eyes on the prize helps me not to worry so much about the rejection of man. It is God’s approval I am after. It’s a joy to join you on Purposeful Faith today, Kim. You’re a blessing. Yes, it’s ALL about eternity, ultimately. Thanks for your visit and continual encouragement, friend. Hi Kristi! I’m your neighbor at #WordsWithWinter. I appreciated reading your words. I have not yet submitted my writing anywhere yet, but I have contemplated it. I love your reminder to go to God. If there is fear or insecurity we really just need to go to Him. 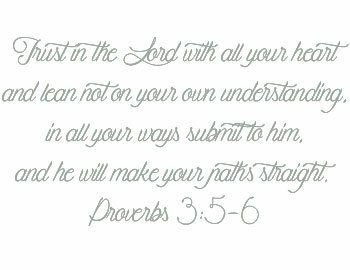 He will give us strength and show us His will. It’s so easy to plow ahead thinking we know what to do, but it’s so important to go to him first. Blessings to you! Hi Gayl! Be encouraged, breeze right past those fears. With Him, anything is possible. 🙂 Blessings to you as well. Our stories are similar, Lois. 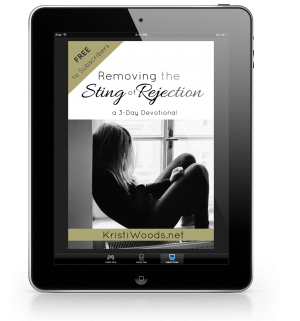 God is good through the sting of rejection. Thank you for visiting my blog today. Your post will encourage many as we struggle with rejection and doubt our calling. Stay encouraged, Carolyn. You definitely encourage me. Oh Kristi, all I can say is – WOOHOO!! I am going to hold on to this post and read it again when rejection makes me want to quit. And it has, a few times in fact. But you are right, when we go to God, He will give us the confirmation we need. Awesome! lol…I’m woo hooing with you, Kristine. Go God, go! Kristi, I know you hit a nerve in most all of us. We need to know that we all share the feelings of hurt and fear of rejection. This is a tough field God has asked us to hoe. Thank you for the encouragement and advice. You’re bringing a smile, girl….or should I say Christy with the spelling most folks try to tag onto mine…for real. Your’s must be the popular version. 🙂 “A tough field to hoe” – love that one. Blessings to you. I love that you give us tools to walk away with. Keeping eternity in mind…that’s the part that becomes weak in me in times of uncertainty or stress. I envision myself in 40 years…a 70-year-old me who never tried writing the words God gave and lamenting over what could have been. It’s enough to force an, “Ok, I’ll write scared.” I think we do a lot of things initially scared, until His calming confirmations come and the smiles are inevitable. I’m thankful for your message today! Yes, smiles are inevitable. 🙂 Your words are a blessing, Meg. You’re right, Lux. It is easy. Thankfully, God’s strength overcomes that “ease”. Thanks for visiting. “They didn’t eat from fear’s plate. They ate from the Lord’s faithfulness instead.” Such beautifully encouraging words! This will give me a good mental picture and help me make the conscious decision in the future not to “eat from fear’s plate”. God has used you in this, and you have blessed me! Visiting this morning as your neighbor at Coffee for Your Heart. Reconnecting with the Voice….love it. Your words are a blessing, Brenda. Thanks for sharing your story, Kristi! Boy can I relate! I was never “good enough” in sports as a kid. (Much worse than you, probably, because I never made ANY volleyball team!) And I’ve sent a few stories and articles that have been rejected. Want to keep pursuing that. But just like you, when I ask God for confirmation to keep writing, He gives it to me! He’s faithful to give, isn’t He, Betsy? Such encouragement, Kristi! And this –>”They didn’t eat from fear’s plate. They ate of the Lord’s faithfulness instead.” Oh, that just speaks right to my soul. Both in my calling as a writer and also just in my everyday life. There are so many things I run from in fear – change, choice, work – but God is ever faithful and always fills us with what we need. Thanks for that reminder, friend. Always so blessed by your encouragement. Fear is stinky, eh? But faith? Well, you’re a gal of a big ‘ole batch of it standing in front of a God who overflows with faithfulness beyond our imagination. That’s a relief for any of us. Whew! Gosh, this applies to so many corners of my life… thanks for being transparent and championing everyone who has ever had to face rejection to endure with His heavenly endurance! As always, love visiting your words, Kristi! Thanks you and big hugs. Hi Christine. Big hugs back to you. 🙂 Your words bless. Look at all of these comments. You are building a thriving community! So proud of you. Amen! It was, is and will always be about eternity! Not about me. Thanks for your encouraging words to go to God and with His help power through rejection! Eternity…yes, indeed. Thanks for stopping by, Liz. What a great word of hope, Kristi! I think we’ve all been there as bloggers and writers – wondering if we heart right, needing to reconfirm with God. I came over on Blessings Counter, and your post has indeed blessed me today. Thanks for sharing. Thanks for stopping by, Melanie. Praise God for the blessing. He’s faithful, Debbie. As you well know, he’s faithful. I needed this Kristi! Sometimes it’s too easy for me to give up. Thanks for this great reminder that if it is something God wants for me I should keep going. Blessings!